SHOULD BOCA RATON, FL DRIVERS BUY A 2018 NISSAN TITAN? Boca Raton, FL, is a small town with beautiful scenery and nature. If you live in or around this town and are in the market for a new vehicle, the 2018 Nissan Titan is an excellent choice. Nothing beats driving around in a powerful truck that focuses on both driver and passenger comfort. Keep reading to learn even more reasons why you should consider the Titan. Most pickups come with a standard V-6 engine, but the 2018 Nissan Titan takes power to the next level. The entry-level Titan comes with a 5.6-liter V-8 engine that has all the power you need. You get 390 horsepower and 394 pound-feet of torque without having to pay a dime more. Need to get your boat to the lake for a day of fishing? Do you need a truck capable of pulling trailers with heavy loads? The Nissan Titan is an excellent truck for towing, with a capacity of 9,730 pounds. If you need to tow more than that, you can buy the Titan XD for a capacity of 11,270 pounds. The gasoline and diesel engines make this a powerful truck capable of towing even the heaviest of loads. Most vehicles focus on the passengers’ comfort, but what about the driver? Everyone in the Nissan Titan gets to enjoy a comfortable ride, even the driver. The Zero Gravity seats in the Titan are the perfect shape to ensure the utmost comfort while preventing driving fatigue. This makes even long road trips much more enjoyable. Along with amazing comfort, there’s also plenty of room for your passengers. No matter which cab configuration you choose, your passengers will have enough room to stretch out and get comfortable while still having room for all your gear. The Nissan Titan has so much going for it; it’s easy to forget some details. Your best bet is to visit a dealership in or around Boca Raton, FL, and see one for yourself. Some other features to keep in mind when considering the Titan include luxurious interior upgrades, a flexible bed, and gorgeous appearance kits. At the end of the day, the best way to see if the 2018 Nissan Titan is right for you is to take it for a spin. 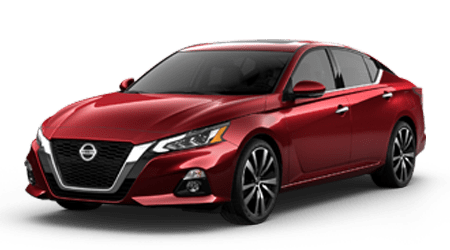 Visit Performance Nissan today for a test drive. We’ll have you driving back to your Boca Raton, FL, home in a new car in no time.